Days begin with breakfast and happy songs in Tucker Inn, followed by a short service in our chapel by the lake. After dinner almost anything can happen. Apache races, horse shows, Christmas parties, tribal competitions, sock wars and clandestine ice-cream parties are typical. And then finally – well after Taps – we might sneak out for a late night raid on the Trading Post or another cabin. These will be times—shared with friends—that you will never forget. Mornings are filled with two scheduled activities and an optional activity period, before a tasty lunch and rest time. The afternoon is spent in two more scheduled activities and free time. Out of camp excursions are spent in backpacking, canoeing, kayaking, water skiing, rafting and climbing trips. A positive attitude is projected throughout the day. The emphasis is on do, rather than don’t. We believe that we were given a wonderful world and we have a lot of fun living in it. Every night after supper there is a special evening activity, and the activity is usually a competition between the tribes. The tribal competitions are an important opportunity to learn both cooperation and competition. They are also a lot of fun! 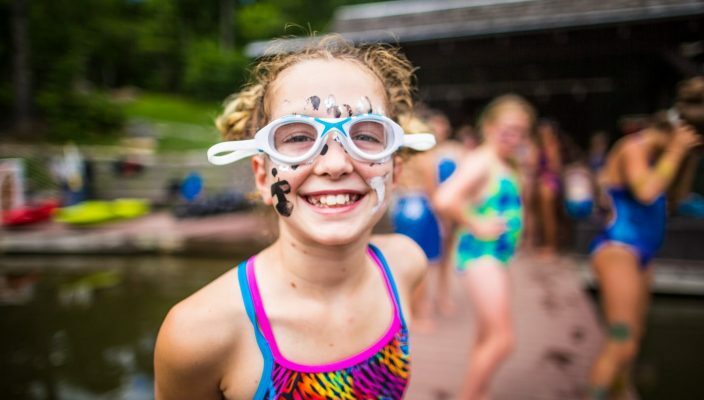 More than most camps we know of, Merri-Mac is a camper driven program. 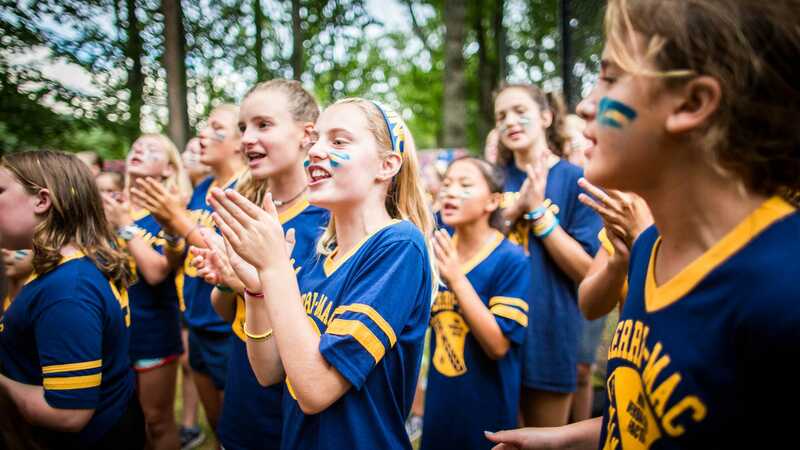 The tribal leaders, honor campers, princess court, spirits of good cheer and sportsmanship, and even the princess herself are decided by the campers. 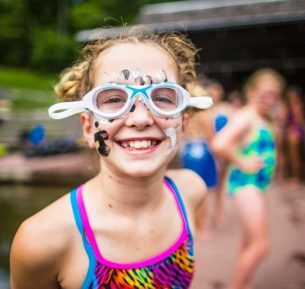 Each of these becomes an opportunity for campers to recognize particular character types and leadership abilities and is an important way of calling to a girl’s attention her own abilities and talents. One of the exceptions to this is our Merri-Mac Council, where the counselors will award our White Feather promotions. More important than these promotions, however, is the opportunity Merri-Mac Council provides to recognize each girl’s unique character and abilities. 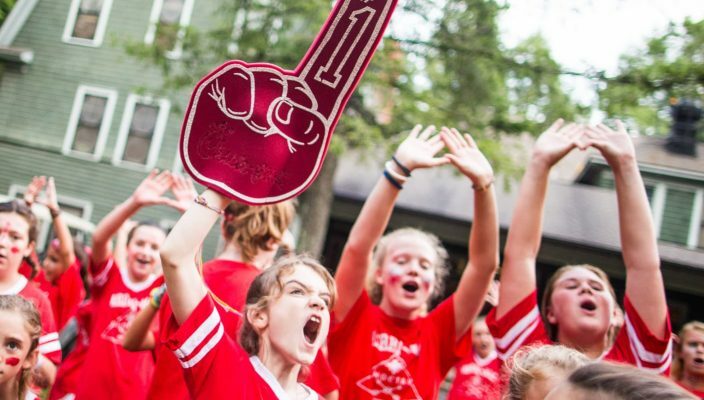 Some of our most successful campers, some of our tribal chiefs, and even some of our honor campers may never receive a White Feather promotion because their gifts lie in other areas. White Feather is an opportunity to recognize certain character traits that might otherwise go unnoticed. One of the ways we do that is our Merri-Mac Council where the counselors will award our White Feather promotions. 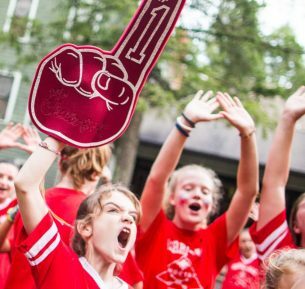 Here campers who have demonstrated gifts of quiet leadership and an increasing growth in the fruits of the Spirit receive beaded necklaces as they progress through the ranks toward achieving the rank of White Feather. The most important part of Merri-Mac Council comes after the ceremony is over. During cabin time on the evenings that we hold council, the counselors will go to each camper to describe the gifts and abilities that they have noticed in her. This is where a girl who may never earn a White Feather Promotion, a Gold Bar, or be elected to a tribal office, can be recognized for her own unique gifts and contribution to her camp family. 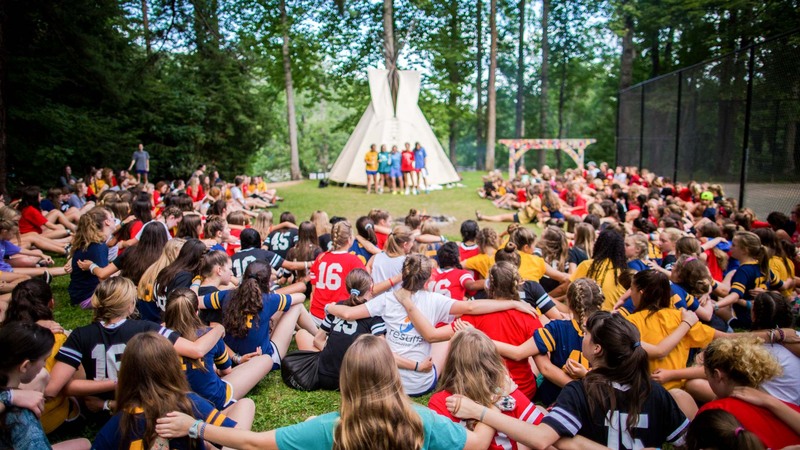 Each camper or counselor joins an Indian tribe soon after arriving at camp. When you become an Iroquois, Choctaw, or Seminole at initiation, you have joined a life long group within the Merri-Mac family. Each night in camp, our evening activity is a competition between the three tribes. At the end of the session, the tribe with the most victories wins the Merri-Mac banner and some serious bragging rights. The Merri-Mac program may change somewhat from year to year, giving new excitement and adventure. The traditions, however, hold firm and consistent, providing life-long friendships and unity.